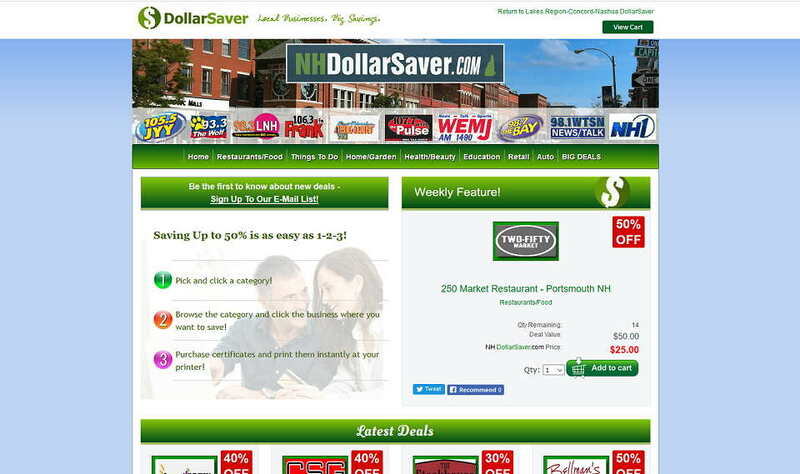 DollarSaver is a discount website that offers up to 50% off deals on local products and services. Their website is actually an e-commerce mall, with multiple vendors and locations spanning the New England area. DollarSaver is a Microsoft ASP website, built many years ago. We were tasked with upgrading it to the latest versions of .NET, upgrading all of their components, and making it mobile friendly. After 6 weeks of hard work, their new website is faster, better and fully responsive on all devices. We were also able to give them an advanced Analytics system to show real time stats to their Vendors, custom reports, CSS3 & HTML5 code, SEO and more.